The Griswolds are a young Sydney-based band that has been doing good music since 2012. Last year they have produced their first full album “Be Impressive”, that went pretty well “down under” and in the US. I went through it and browsed the old songs as well, and their easy going indie rock, sometimes pop style put me in a great mood. This is “Heart Of A Lion”, their 2012 EP. 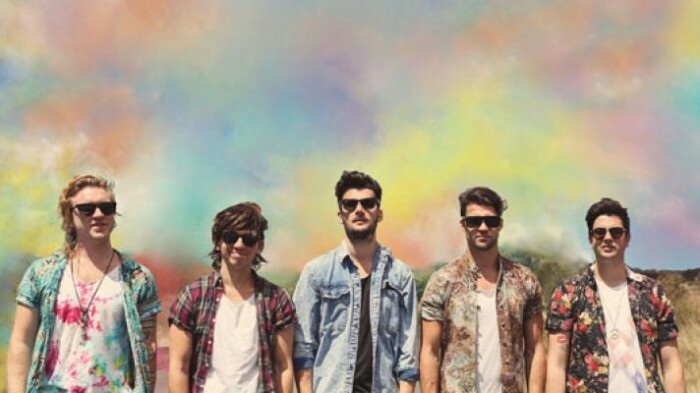 The Griswolds sono un gruppo di ragazzi di Sydney che fanno buona musica insieme dal 2012. L’anno scorso hanno prodotto il loro primo album intero, “Be Impressive”, che ha avuto ottimi risultati in Australia raggiungendo anche gli Stati Uniti. Ho ascoltato i brani di questo album e gli EP precedenti e la conclusione è che il loro indie-rock molto ma molto pop è capace di mettere di buon umore subito. Partendo dal principio, questa è “Heart Of A Lion”, singolo uscito nel 2012. These four guys are a mix between Rooney, MGMT and Foster The People. For sure the songs are all feel good tracks and they’re good to keep in your iPods for the beach party with your friends. Next up is their biggest hit so far, “Beware The Dog”, from “Be Impressive”. The pop chorus that you’ll never be able to forget, followed by a equally fun video in line with the meaning of the song. Questi quattro ragazzi sono un incrocio fra i Rooney, gli MGMT e i Foster The People. Di sicuro sono quelle tracce da tenere nell’iPod per la prima festa sulla spiaggia con gli amici. La prossima è la canzone che ha portato loro maggiore successo, “Beware The Dog”, tratto da “Be Impressive”. Ha quel ritornello pop che non vi si schioda dal cervello manco a pagarlo, e un video molto simpatico in linea con il senso generale della canzone. Overall “Be Impressive” is a fun album with its good share of interesting tracks (and you can also spot a slower introspective ballad, “Thread The Needle”) and simple indie/pop songs. This is my personal favourite: “Live This Nightmare”, followed by “If You Wanna Stay”, brand new single presented recently. In generale “Be Impressive” è un album divertente con un set di canzoni interessanti (si può anche scovare una canzone più lenta e introspettiva, “Thread The Needle”) in linea con il loro stile indie pop senza pretese. La mia preferita è “Live This Nightmare”, seguita da “If You Wanna Stay”, nuovo singolo presentato recentemente.